Excellent upgrade kit. 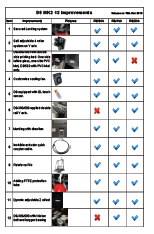 I used this kit to upgrade my Monoprice Maker Pro Mk.1 to an MK2 with a modified Wanhao MK2 firmware (make sure you use a modified firmware...the one that came with this kit had the wrong Y offset for the bed sensor). Z braces are good, the new bed sensor is great, the new glass build plate is really nice. GOOD PACK FOR THIS PRINTER I was having printing quality issue with old edition printer in the past. This upgrading pack make my former printer back to life. 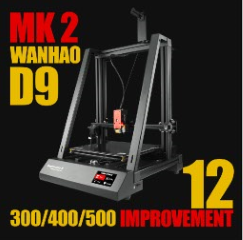 MK2 is rather good compared with any other printers in the market. The printing quality is superior to all. You can't miss it.